「Crisis and Leviathan: Critical Episodes in the Growth of American Government (A Pacifi…」 を ￥3,245 で@amazonから出品しました。 日本より発送。丁寧に保管されたので、商品の劣化や変色、破れ、書き込み、剥がれなどがほとんどございません。使用感がない。 This is in near mint condition. No markings, tears, discoloration or fading. No torn, missing or dog-eared pages. Paperback, 350 pages including index. Ships from Japan. 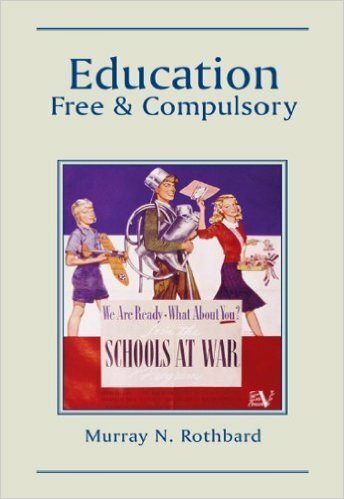 Published in 1987. 「Against Leviathan: Government Power and a Free Society (Independent Studies in Politic…」 を ￥2,810 で@amazonから出品しました。 日本より発送。丁寧に保管されたので、商品の劣化や変色、破れ、書き込み、剥がれなどがほとんどございません。使用感がない。 This is in near mint condition. No markings, tears, discoloration or fading. No torn, missing or dog-eared pages. Paperback, 408 pages including index. Ships from Japan. Published in 2004. 「The Road to Serfdom: The Definitive Edition (The Collected Works of F. a. Hayek)」 を ￥1,370 で@amazonから出品しました。 日本より発送。きれいな状態です。書きこみ,切りぬきはありません。カバーの角が少し曲がっている。tツカには少し汚れがある。使用感があり。This is in good condition. No markings, creases, fading or tears. No torn or missing or dog-eared pages. Very slight scuffing and curling of edges of covers. Slight discoloration on textblock. Paperback, 283 pages including index. Ships from Japan. 「Meltdown: A Free-Market Look at Why the Stock Market Collapsed, the Economy Tanked, and …」 を ￥2,020 で@amazonから出品しました。 日本より発送。丁寧に保管されたので、商品の劣化や変色、破れ、書き込み、剥がれなどがほとんどございません。使用感があり。 ハードカバー。 This is in very good condition. No markings, creases, tears, discoloration or fading. No torn, missing or dog-eared pages. Very slight scuffing at edges of covers. Hardback, 194 pages including index. Ships from Japan. 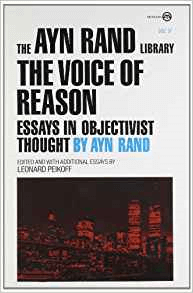 「The Voice of Reason: Essays in Objectivist Thought (The Ayn Rand Library)」 を ￥1,279 で@amazonから出品しました。 日本より発送。丁寧に保管されたが、中古品ですので、商品の劣化や剥がれなどが少しあります。書き込みはございません。使用感があり。背の上が少し凹んでいて、折り目もある。ツカに少し変色・汚れがある。This is in good condition. No markings, tears or fading. No torn, missing or dog-eared pages. Covers slightly curled, slight dent in top of spine. Crease in spine. Slight discoloration on textblock. Paperback, 353 pages. Ships from Japan. 「Ayn Rand Answers: The Best of Her Q & A」 を ￥955 で@amazonから出品しました。 日本より発送。丁寧に保管されたので、商品の劣化や変色、破れ、書き込み、剥がれなどがほとんどございません。使用感がない。 This is in very good condition. No markings, tears, discoloration or fading. No torn, missing or dog-eared pages. Paperback, 241 pages including index. Ships from Japan. Published in 2005. 「Back on the Road to Serfdom: The Resurgence of Statism (Culture of Enterprise Series)」 を ￥2,592 で@amazonから出品しました。 日本より発送。丁寧に保管されたので、商品の劣化や変色、破れ、書き込み、剥がれなどがございません。つかに目立たない水のシミがある。使用 感があり。 This is in very good condition. No markings, tears, discoloration or fading. No torn, missing or dog-eared pages. Two small water stains on textblock. Hardcover, 233 pages including index. Ships from Japan. Published in 2010. 「An Enemy of the State: The Life of Murray N. Rothbard」 を ￥3,690 で@amazonから出品しました。日本より発送。丁寧に保管されたので、商品の劣化や変色、破れ、書き込み、剥がれなどがございません。使用 感があり。 This is in very good condition. No markings, tears, discoloration or fading. No torn, missing or dog-eared pages. Hardcover, 400 pages including index. Ships from Japan. Published in 2000. 「America’s Great Depression」 を ￥1,985 で@amazonから出品しました。 日本より発送。丁寧に保管されたので、商品の劣化や変色、破れ、書き込み、剥がれなどがほとんどございません。ツカとカバーの淵に少しすり減りがある。使用 感があり。 This is in good condition. No markings, tears, discoloration or fading. No torn, missing or dog-eared pages. Slight scuffing at edges of textblock and covers. Paperback, 361 pages including index. Ships from Japan. Published in 2008. 「Cato’s Letters, Or, Essays on Liberty, Civil and Religious, and Other Important Subjec…」 を ￥2,100 で@amazonから出品しました。 日本より発送。丁寧に保管されたので、商品の劣化や変色、破れ、書き込み、剥がれなどがございません。使用感が無い。 This is in near mint condition. No markings, tears, discoloration or fading. No torn, missing or dog-eared pages. Softcover, 493 pages including index. Ships from Japan. Published in 1995. Vol 1 of 2. 「Cato’s Letters, Or, Essays on Liberty, Civil and Religious, and Other Important Subjec…」 を ￥2,800 で@amazonから出品しました。 日本より発送。丁寧に保管されたので、商品の劣化や変色、破れ、書き込み、剥がれなどがございません。使用感が無い。 This is in near mint condition. No markings, tears, discoloration or fading. No torn, missing or dog-eared pages. Softcover, 493 pages including index. Ships from Japan. Published in 1995. Vol 2 of 2. 「Literature and the Economics of Liberty: Spontaneous Order in Culture」 を ￥7,105 で@amazonから出品しました。 日本より発送。丁寧に保管されたので、商品の劣化や変色、破れ、書き込み、剥がれなどがございません。使用 感がほとんど無い。 This is in very good condition. No markings, tears, discoloration or fading. No torn, missing or dog-eared pages. Hardcover, 510 pages including index. Ships from Japan. Published in 2010. 「Principles of Politics Applicable to All Governments」 を ￥1,294 で@amazonから出品しました。 日本より発送。丁寧に保管されたので、商品の劣化や変色、破れ、書き込み、剥がれなどがございません。使用感が無い。 This is in near mint condition. No markings, tears, discoloration or fading. No torn, missing or dog-eared pages. Softcover, 558 pages including index. Ships from Japan. Published in 2003. 「The Free and Prosperous Commonwealth; An Exposition of the Ideas of Classical Liberalism.」 を ￥1,821 で@amazonから出品しました。 日本より発送。丁寧に保管されたので、商品の劣化や変色、破れ、書き込み、剥がれなどがほとんどございません。カバーの淵に少しすり減りがある。使 用 感があり。 This is in good condition. No markings, tears, discoloration or fading. No torn, missing or dog-eared pages. Slight curling and scuffing at edges of covers. Paperback, 207 pages including index. Ships from Japan. Published in 2012. Essays on liberalism by Ludwig von Mises. 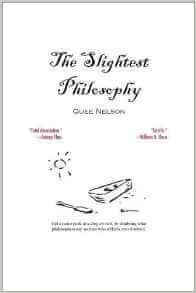 「The Slightest Philosophy」 を ￥1,818 で@amazonから出品しました。 日本より発送。丁寧に保管されたので、商品の劣化や変色、折り、破れ、書き込み、剥がれなどがございません。使用感がありません。 This is in very good condition. No markings, creases, tears, discoloration or fading. No torn, missing or dog-eared pages. Paperback, 276 pages. Ships from Japan. Non-fiction. Philosophy. Much of it in the form of an imaginary dialogue between professor and student.